Newly acquired Phillie's ace, Cliff Lee (pictured above), has helped demonstrate to me why the MLB would be the best professional sport to participated in. Recently, I was involved in a discussion with some of my fellow sports fanatics regarding professional sports, and which would be the best one to play. Now obviously, none of us have a shot of being a professional athlete. Those days are long gone. But every guy can dream a little right? So the discussion, which rapidly got very heated centered around the topic of, “If you were a professional athlete, which sport would you want it to be and why.” Oddly enough, we all had differing opinions. Is there no ideal professional sport to play? Or is there.. The following is a G Rated version of the main points brought up in our recent discussion and my ultimate list in order of preference. 5. Professional soccer was immediately thrown out. Does anybody really want to play in the MLS? 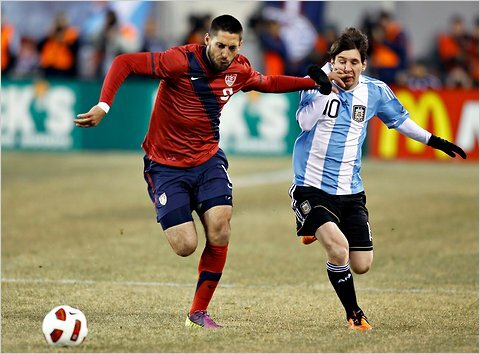 Sure, soccer is the world’s most popular sport. But this is the United States my friends. Soccer has been the next big thing for 30+ years now it seems. Will it ever become the “current” big thing? Plenty of players in the MLS make just $40,000 a year. Then you have your Landon Donovan’s, who make a little over $2 million a year. In actuality though, the League minimum is $33,000 a year. The League average salary is $138,000. Also, take note that this number is highly distorted due to players like David Beckham and Thierry Henry making far more than the rest of the League. On average, players on the practice squads for NFL football teams make over $80,000 a year. Next..
4. A few of the guys in the room said golf. They had no real tangible reason other than you get to travel the world and staying in peak shape is not essential. Typical response of a lazy couch potato right? But I think my friends failed to realize a key factor on the PGA Tour. There is no League minimum. There is no minimum salary. So if you sustain a major injury or a major funk, you could come out making piss poor money. Maybe you get to travel the world, but on whose penny? 3. Then there was talk about the most popular League in American sports, the NFL. The NFL looks great. Who does not love to sit down on Sundays and watch the NFL? And in this game, you only play one game a week. This is where the numbers start getting better. The League minimum for a rookie is $285,000. For a second year player, it is $360,000. By your 5th year, it is $595,000. But I also realize that the average NFL career is only 3 years for a reason. Guys like Ray Lewis, James Harrison, and Brian Urlacher are mainstays in this League. Fear of injury and a lack of guarantees would sway my vote away from the NFL. But if you remain healthy, the money is very good. 2. Then you got the NBA. As a rookie, the League minimum is right around $470,000 (wow). By year 2, it has already skyrocketed to around $760,000. Sorry, NFL, but this money is better. And injuries are less prevalent. Granted the average NBA roster carries only 12 active players a game (can have up to 15 guys on the roster). In the NFL, 53 players can be on the roster, with 45 active guys on gameday. So sure, this might be why NBA players rake in higher salaries at least from a minimum standpoint, because there are less of them. The NBA gets my nod over the NFL without question. 1. My winner though, by the slimmest of margins, is the MLB. 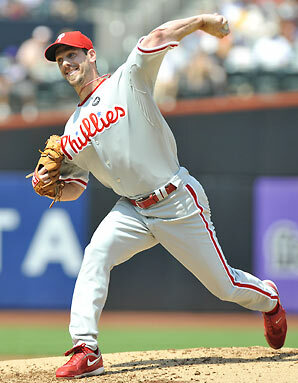 Did anybody just witness the recent Cliff Lee bonanza? Guy turned down a $150 million dollar contract. Alex Rodriguez was making $33 million in straight salary last year. I mean give me a break. Sure baseball is a grind nearly every day for over 6 months. 162 games is a lot of games. Sure I have a bias in that baseball is my favorite sport out of all of these to play. But lets take a look at some of the numbers and facts. Number one, injuries are less frequent in the MLB, than the NFL or NBA. Guarantees are much more secure regardless of injuries. The average MLB career lasts 5.6 years. An average NFL career is right around 3 seasons. The average NBA career is just below 5 years. So the MLB average career length is the longest of the big 3. The league minimum in the MLB is $400,000. Which is slightly less than the NBA league minimum for a rookie, but more than an NFL rookie. But here is the most eye-popping stat, that separate the MLB and NBA from the rest of the pack. The average MLB player makes $3 million dollars (average Yankee made $7.6 million this past year). And in the NBA, the average salary is around $5 million. So I guess my case is flawed in the straight money aspect. But who ever said it was all about the money? Okay, so it is a toss-up between the NBA and MLB I guess. My nod goes to the MLB because I enjoy playing baseball more, but it is very close. Also my apologies for the lack of mention of the NHL. If forced to choose though, I would place it in 4th behind the NFL. The average salary is much better than in the MLS or on the PGA Tour, but the injuries are just far too prevalent. Plus, does hockey’s popularity in the US compare to that of baseball, basketball or football? What are your thoughts? If you were a professional athlete, what sport would you want it to be?